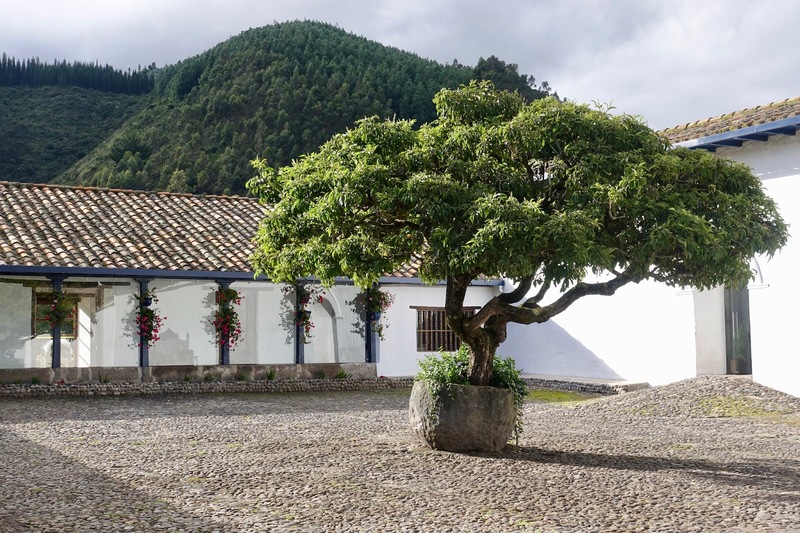 After having outlined a perfect Ecuador’s highlands itinerary in my last post, I now want to go into where to stay when visiting the area as a discerning traveler. 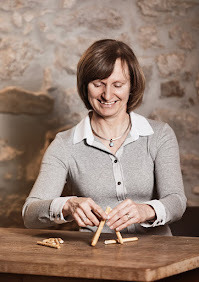 The highlands have a lot to offer as to natural and cultural sights, but there are also good opportunities for lodging, also for guests seeking luxury. When I came to Ecuador I had high expectations regarding things to do. These were not only fulfilled but also exceeded. I was amazed by the abundance of volcanoes between Quito and Cuenca as well as by the beauty of these cities whose historic inner cities are both UNESCO Cultural Heritage Sites. As to hotels, I was confident that the quality of accommodation would be pretty good as a consequence of Ecuador’s colonial past. And I was right about this. Here is my report on the hotels of our journey through Ecuador’s highlands. Due to the Spanish colonization there are quite a number of large estates (haciendas) in the countryside. As they often lost their original purpose, many have opened their doors as upscale boutique hotels. As a consequence, haciendas converted into small hotels can be found quite often in the rural area. As far as hotels in cities are concerned, there are also a number of establishments stemming from the colonial past. Staying at a hacienda-hotel is a bit different from other hotel experiences. In many cases, dinner and sometimes even all meals are included in the rate. Quite often the meals take place at a shared dinner table giving the opportunity to talk to your fellow diners. In the following, all the hotels we were are listed from north to south, as was our 9-day trip. 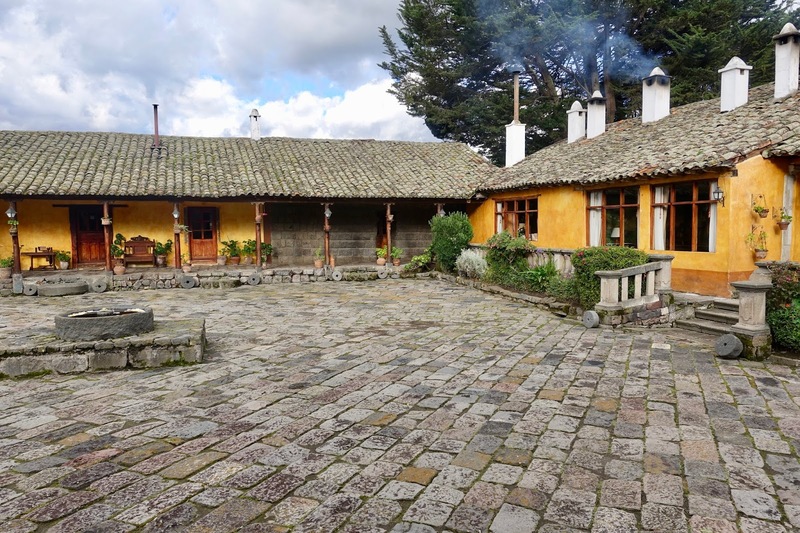 This hotel located two hours north of Quito is an extensive colonial working farm that belongs to the family of a former president of Ecuador. There are 17 bedrooms that all come with their own fireplace. The rate includes all meals and non-alcoholic beverages. A great variety of activities are offered such as horseback riding, mountain biking, hiking and bird watching. There are even a cheese factory and a Condor Andes rehabilitation center on site. The hotel complex is stunning, a hacienda straight out of a picture book. The wide range of activities is impressive. Food is good, simple but tasty. The hospitality is exemplary, we were taken care of in the best way imaginable. Everything on the property is immaculately kept and very tidy. The hotel’s location is beautiful but a bit remote (one hour from Otavalo). While our room (twin bedded, probably the least expensive category – booked through an agency) was nice, it lacked the wow effect, especially the bathroom was nothing special (very small, no storage area for toiletries, not heated). When looking for an upscale hotel in Quito, there is now way around the JW Marriot. It is a large, modern hotel and offers all what you expect of a Marriot, I would say even a bit more than this chain’s average property. It is centrally located in the new town. All the facilities were renovated recently. We stayed there as a part of our pre cruise package and upgraded to a higher room category (Executive Room with access to the executive lounge). Our room was spacious and well appointed. 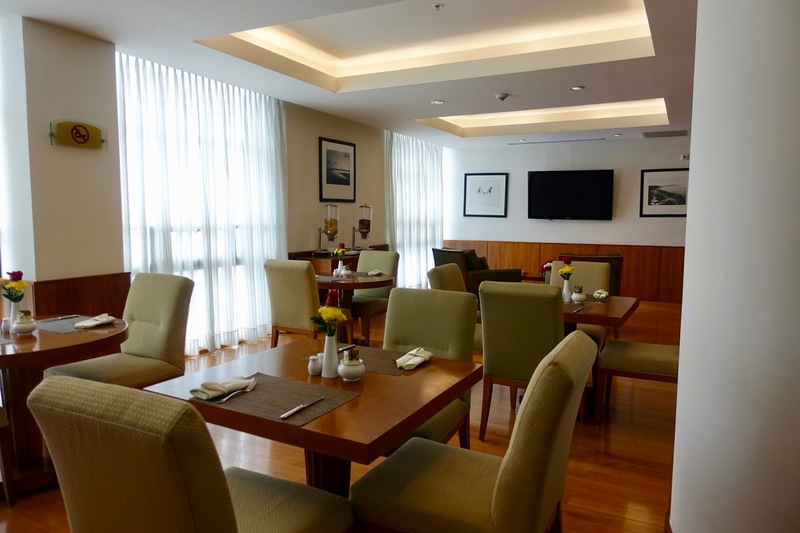 The executive lounge offers a good breakfast and a wide array of snacks during the rest of the day. Every staff member we met was friendly and helpful. While the location in the new town is favorable because of its centrality, it is quite far away from the old town. Furthermore, the hotel is situated at a very busy intersection. 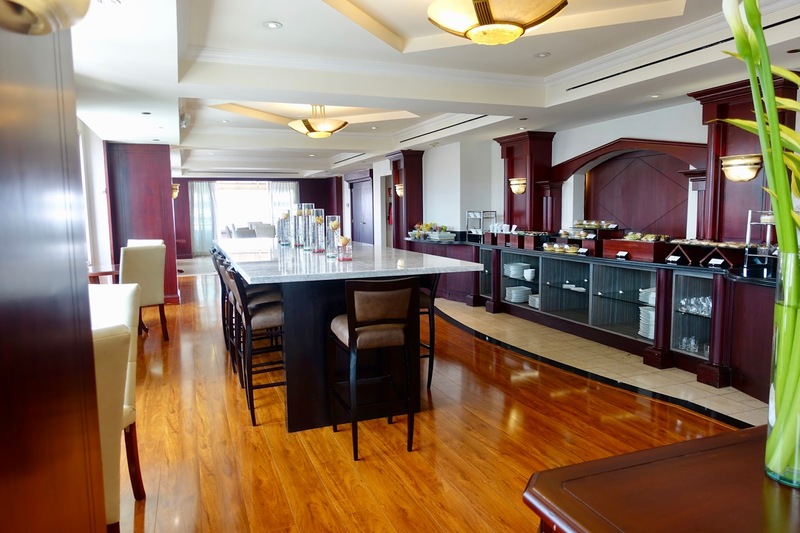 An upgrade to the executive lounge is worth the extra charge, but be advised that only one alcoholic beverage per person and day is included. 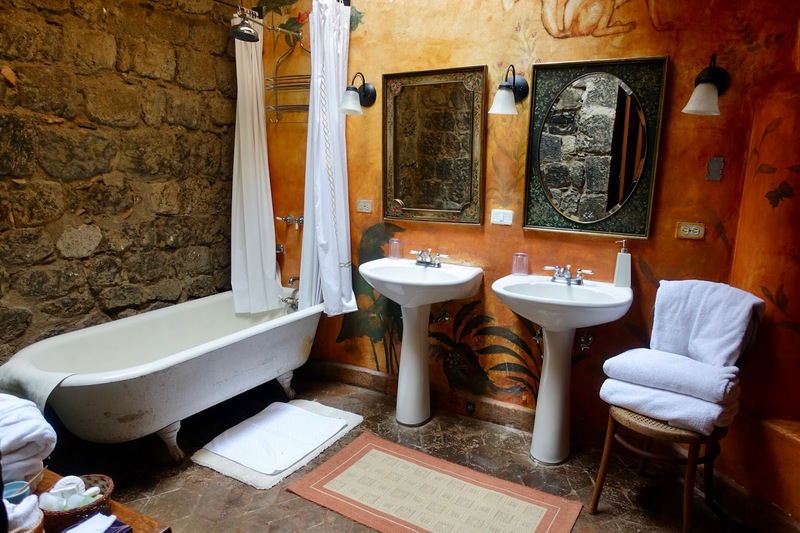 If you longing for staying within ancient Inca walls, this is the place to go! The hacienda built on the site of an Inca palace is a real feast for the eyes. 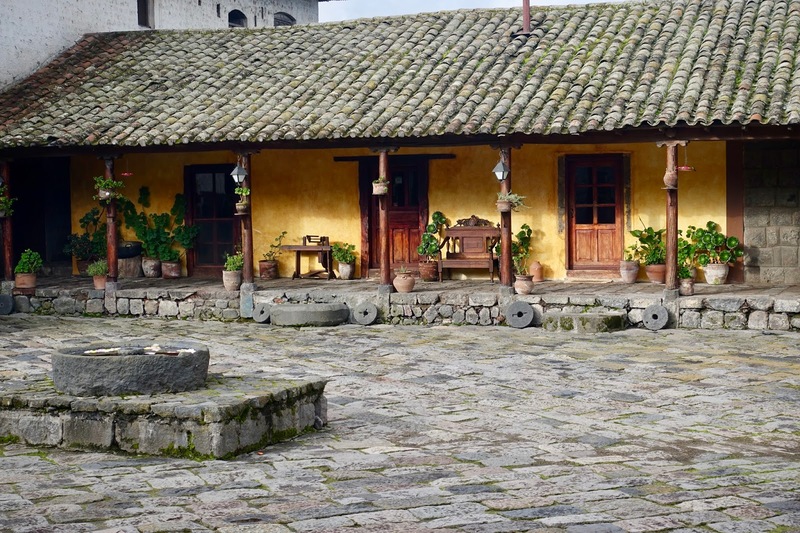 In the main house (Inca House) there are five rooms around a picturesque courtyard, all of them with fireplaces in bedrooms and bathrooms. 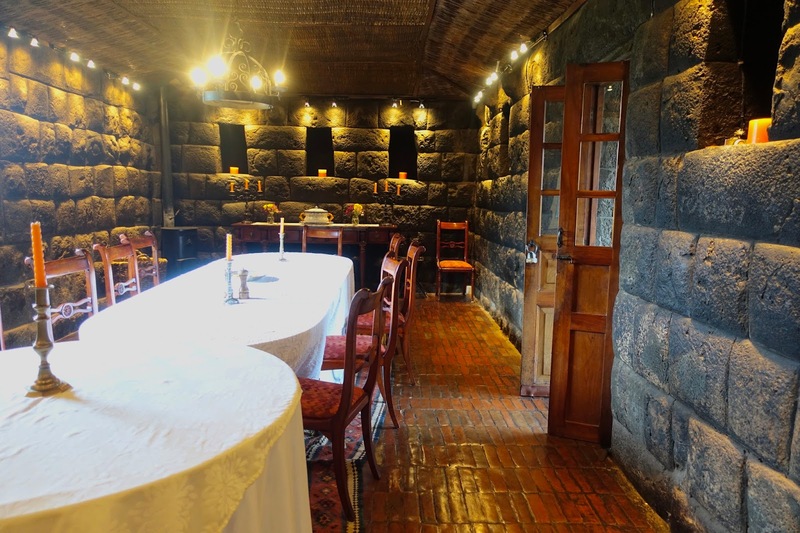 Furthermore, there are an Inca chapel and a beautiful dining room with Inca walls. 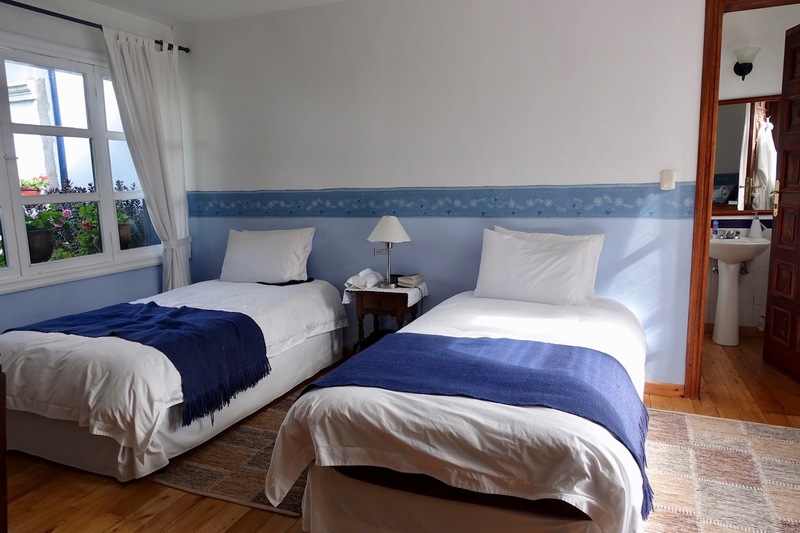 As in the sister hotel of Hacienda Zuleta all the meals are included in the rate. 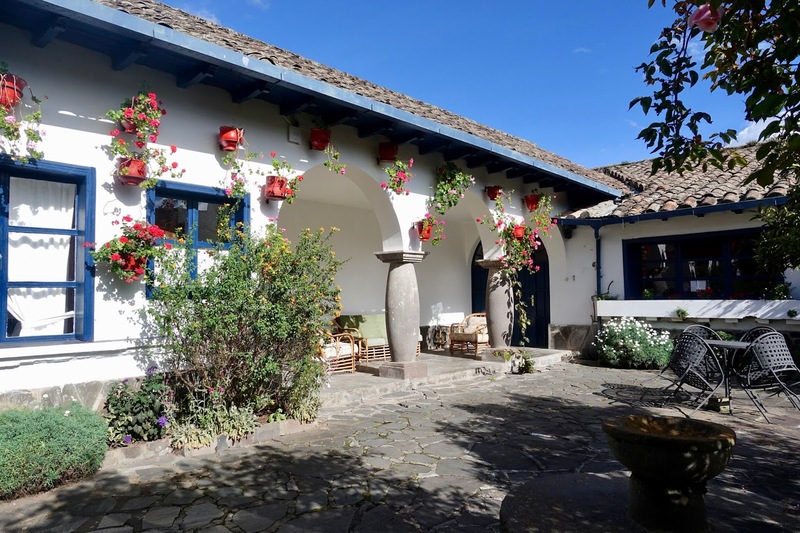 The property filled with Inca history is absolutely gorgeous! I was very much in love with our room featuring an open fire in the bedroom and a wood burner in the bathroom, which by the way was lovely. The dinner we had at the hacienda was delicious and having it in such beautiful und historical surroundings was the cherry on the cake. Also a fun thing was it when an employee summoned the lamas to the courtyard where you could feed them. There is another building with rooms outside the property, which does not look equally charming as the main house, but I only saw it from the outside. What I noticed further were that many furniture items in the room and in the drawing room (public space) were a bit worn out. Staff is nice although not as accommodative and professional as in the sister hotel of Hacienda Zuleta. 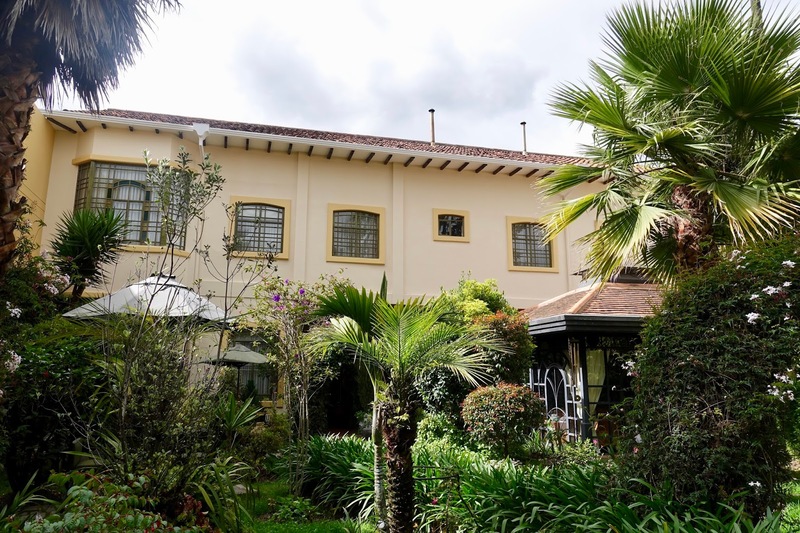 This hacienda-style hotel in the outskirts of Riobamba has 38 rooms and is probably the best place in town when it comes to lodging. Having said that, this does not mean that it can meet the needs of demanding travelers. The choice of really good hotels in this conveniently located town near the Chimborazo Volcano is just not that wide. The room we had was spacious and had a likewise bathroom which was renovated recently. The hotel grounds are nice, a walk in the garden would have been a good thing to do – sufficient time provided. Although the fireplace was lighted in the room – upon our request –, it was cool during the whole stay. In spite of a recent upgrading (bathroom), our room had a very dirty carpet. While the food in the hotel’s restaurant was solid, I very much disliked the dirty placemats they used on the tables. In short, it is a good enough place to stay and eat for one night, but not more than that. If you want to spend the night in a colonial town palace, this is the accommodation for you! Here a typical Spanish mansion awaits you with a two-level central court (roofed). We had a look at different rooms here in the main house and also in the garden wing. Whereas the former are in a classic style but with modern comfort, the latter are more contemporarily furnished. Behind the main house there is a restaurant and a nicely landscaped garden. 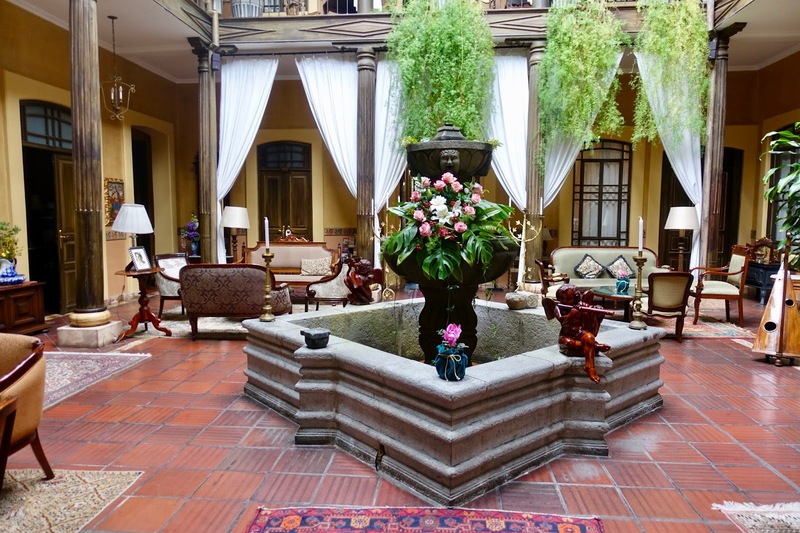 The hotel is favorably located in the old town in walking distance of most colonial buildings of Cuenca. The two-level central court is a true eye-catcher, very well conserved with beautiful furniture. Service at the hotel is outstanding, everyone is eager to please you. Dinner and breakfast in the beautifully located and decorated restaurant are excellent (my next post will be about it). As mentioned, the rooms in the main house are around a roofed court and that comes with some disadvantages. All the rooms with two exceptions have only windows going to this court. This together with the non-existent air condition makes the rooms rather stuffy, at least the one we had on the ground floor (No. 105). My advice: opt in the main house for rooms No. 104 and 204 with additional windows going to the garden. When you want to stay at a luxury hotel in the coastal city of Guayaquil, Hotel Oro Verde has to be on the shortlist. Although it has to be said that the choice of really good hotels here is somewhat limited. All the 236 rooms of this hotel located a bit above the city center were recently renovated and offer a good comfort. On site you find five restaurants and bars. We stayed there as part of our post cruise package and upgraded to a higher room category (Premium Floor Room with access to executive lounge). 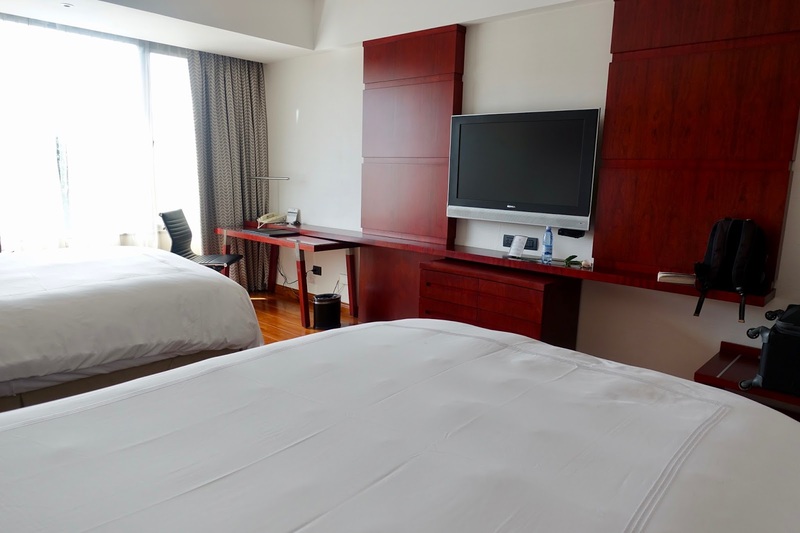 I was in favor of our well appointed and nicely decorated room, which was large and also had a spacious bathroom. Service was kind and eager to help. I was impressed by the restaurant selection at Hotel Oro Verde, food wise they cater for every need that might come up. I was especially fond of our dinner at the restaurant Le Gourmet (my next post will go into it). The location above the city center cannot be called ideal, at least not for tourists. It is possible to walk to major sights but this needs some time. In addition, the neighborhood is rather charmless and I would not recommend walking around in the area at nighttime. Furthermore, I found the pool area a bit underwhelming. Finally, the executive lounge is not worth upgrading to (mostly unattended, only a few snacks and beverages available). When it comes to hotels for a luxury stay in Ecuador’s highlands, chances are good to find them. 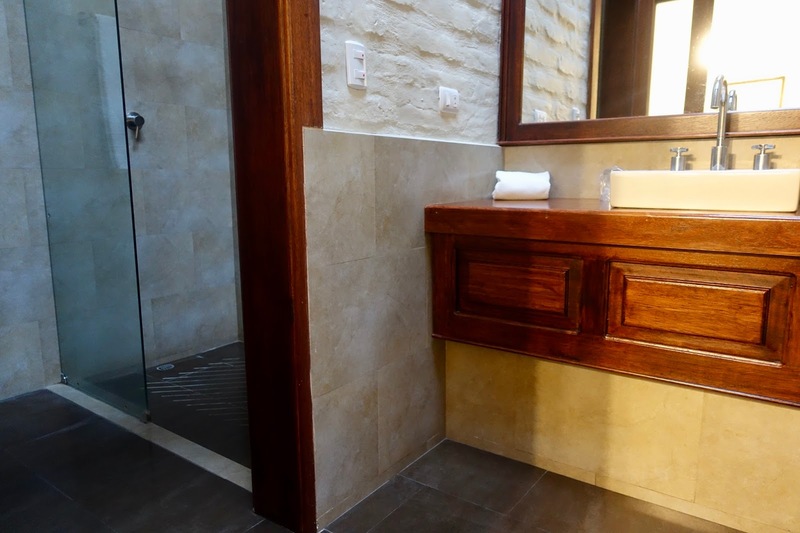 While there is quite a choice in certain areas such as Quito and surroundings and Cuenca, upscale lodging is more difficult to find half way from Quito to Cuenca. There will be one more post about Ecuador’s Andean region and this about recommended restaurants for foodies. After that, I will report on my cruising the WesternGalapagos Islands aboard the Silver Galapagos. What hotel did you like especially when traveling the area? Thanks for the review! Glad you enjoyed your stay. We aim to please! Just to clarify as a member of Hacienda Zuleta the hotel now has 17 rooms (20 next year) and is 40 mins away from Otavalo. Thank you for your comment. I have just amended the number of rooms, sorry for the wrong indication! The first time we went to South America, we only spent one night in Quito on our way to the Galapagos and then coming back we connected straight to our flight home. We really regretted it because as soon as we started walking around Quito we wished we had booked more time there. So we ended up returning two years later and took our time, going to Otovalo, to Cuenca, and taking the Devil’s Nose train ride. Such a great experience. Glad you enjoyed it! It is really worth visiting the area.